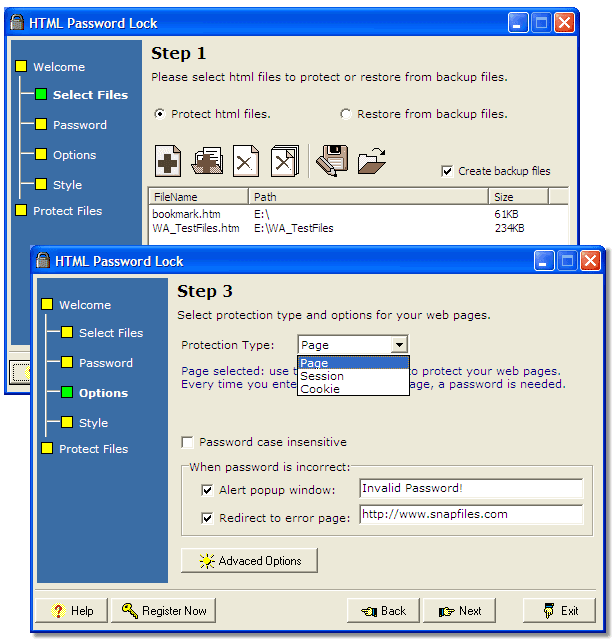 Free download HTML Password Lock latest version. Password Protect Web pages and HTML pages in just a few clicks! Instantly download a free trial version of HTML Password Lock! Start using it Right Now! Manage more than 1000 users/passwords. Manage a single password or multiple passwords. Enhanced user information management, such as email, full name and additional notes. Generate random password and random user/password series. Support password protection of HTML, SHTML, ASP pages and PHP pages.